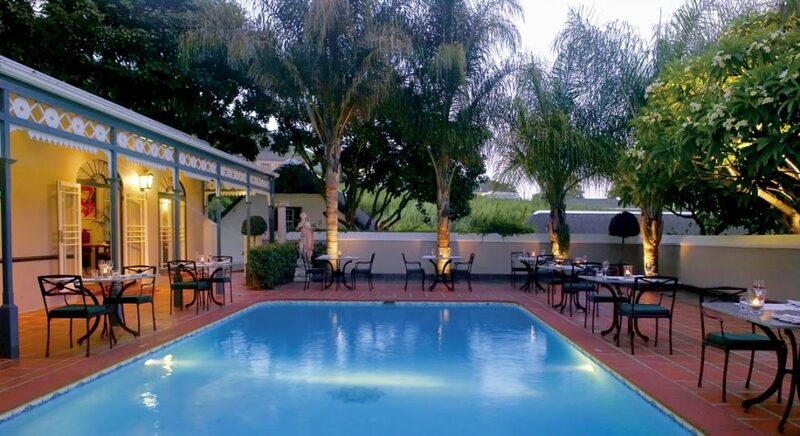 Nestled at the foot of the magnificent Paarl Rock is a small , luxury hotel. A place where history interacts with modern comforts. 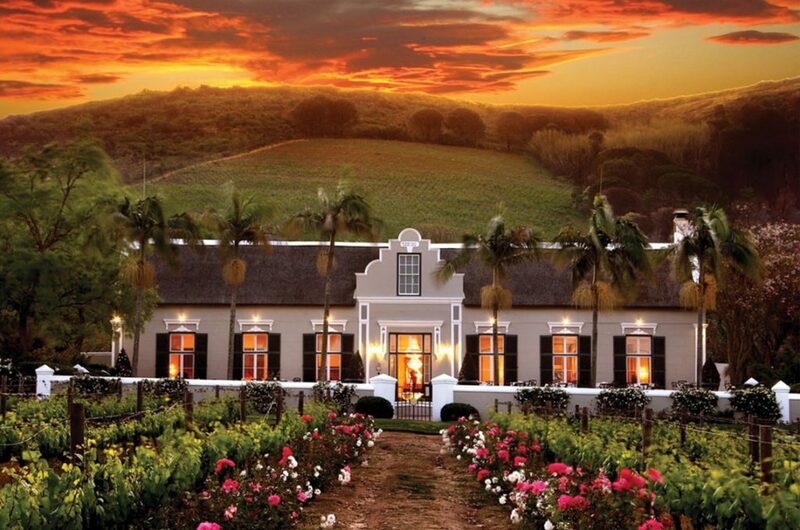 This celebrated Five Star hotel is the proud member of a Small Luxury Hotels of the World and boasts beautiful gardens and award-winning cuisine at its elegant Bosman’s Restaurant. Overlooking vineyards and mountains, it is the ideal base from which to explore the Cape, relax at one of the 2 pools and amongst others enjoy the nearby golf courses. One can also renew wedding vowels in the Chapel and have wonderful walks around the area. 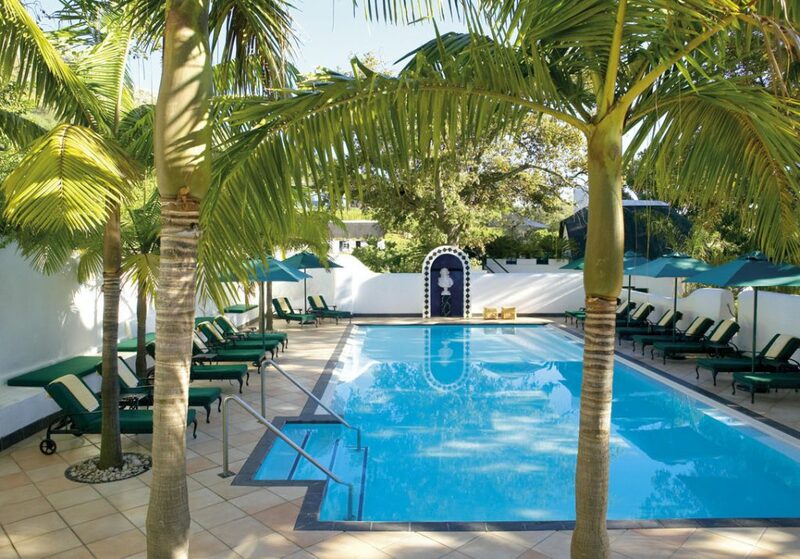 Grande Roche consists of 18 Terrace suites, 5 Duplex Suites, 5 Junior Suites, 1 Honeymoon Suite and 5 Executive Rooms. 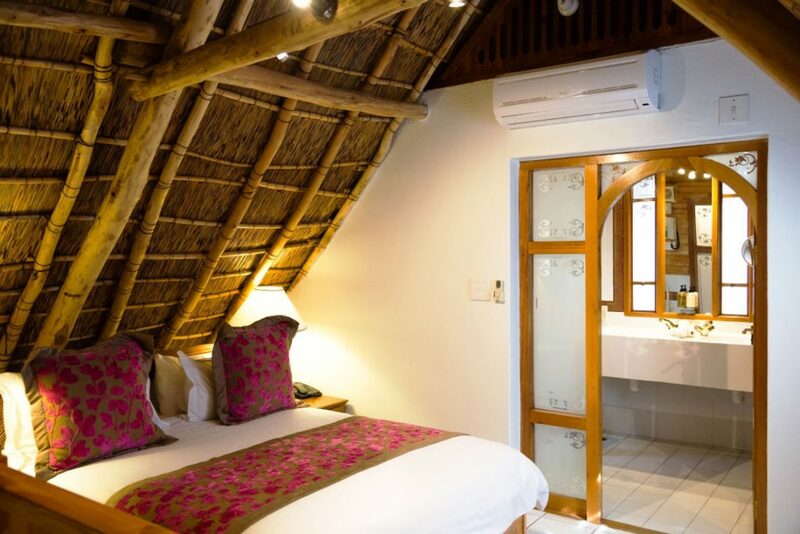 All rooms are en-suite and also have tea and coffee making facilities, minibar, underfloor heating for cooler nights, air condition, electric safe. Children above 12 years are welcome, where they can play at the Bigz Pay Park, see the Franschhoek Motor Museum, the Stellenbosch Toy and Miniature Museum. Other areas to visit would be the Cheetah Outreach facility, Eagle Encounters and Giraffe House. Guests can also have a game of Tennis on flood lit tennis courts, work out at the gym, hike, jog, horse ride, hot air balloon, have helicopter rides or relax at the spa. Wine tasting and spa are charged separately.